Former UFC light heavyweight Ryan Jimmo (pictured) has died at the age of 34 following a hit-and-run incident Sunday morning in Edmonton. According to CBCNews.com, an altercation between Jimmo and another driver occurred at around 2:15 a.m. this morning in the parking lot of the H2O Lounge. Jimmo reportedly approached the other vehicle on foot and walked away after an exchanged. The suspected vehicle then accelerated and struck Jimmo before leaving the scene. The dark-colored pickup truck that struck Jimmo was occupied by at least two Caucasian males. Jimmo received treatment at the hospital, but passed away shortly after due to injuries sustained from the hit. It is unknown if Jimmo knew the driver or passenger(s) of the other vehicle. Jimmo’s aunt confirmed with the website that Jimmo was indeed the person killed in the hit-and-run tragedy. “He was a people person, he loved everyone. He was so kind,” Sharon Jimmo said. “He was a fighter but personally he was a great guy. 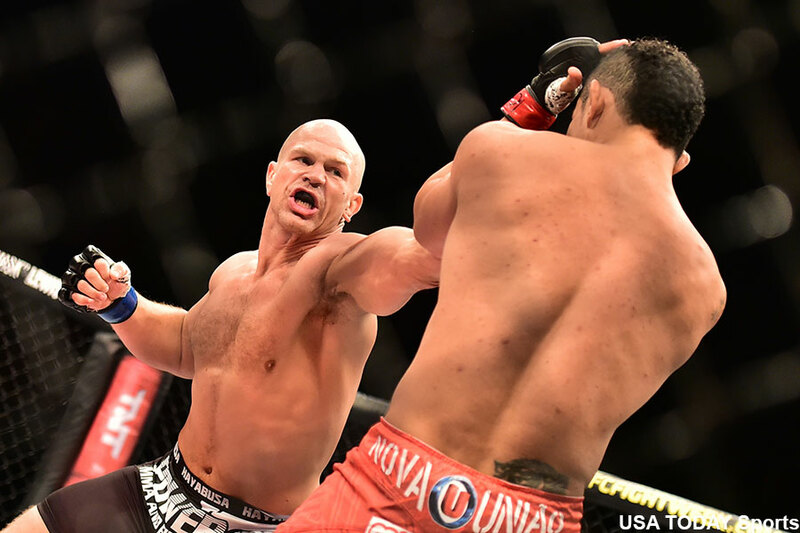 Jimmo signed with the UFC in 2012 riding a 16-fight win streak en route to becoming MFC’s light heavyweight champion. He won only half of his six scraps in the big leagues and was cut by the UFC last July after dropping his seconds straight bout. “The Big Deal” is best known for his seven-second knockout of Anthony Perosh in his UFC debut. He tied Duane Ludwig for the fastest KO in UFC history with the devastating strike. Jimmo was last seen losing a unanimous decision to Francimar Barroso in May 2015. UFC president Dana White, a long with many other UFC fighters expressed their condolences after hearing the devastating news. This marks the second MMA fighter in as many months that has died from a hit-and-run motorist. Bellator featherweight Jordan Parsons passed last month after a speeding motorist struck and killed him in the early morning in Florida. Dennis Wright, who has a lengthy rap sheep including DUI, disorderly intoxication, marijuana possession and assault on an officer or firefighter, was arrested six days later.